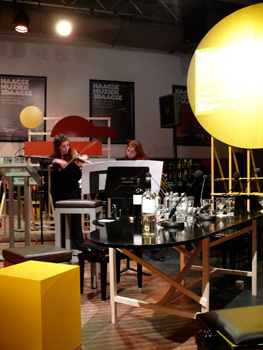 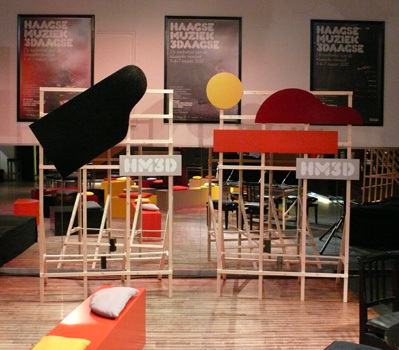 The 'haagse muziek 3-daagse' (HM3D) is a classical music festival for a wide audience. 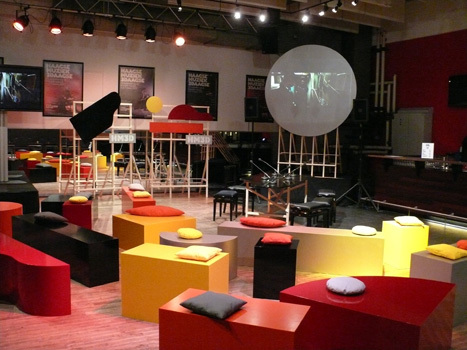 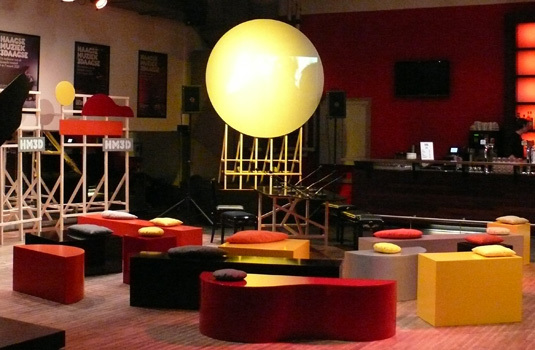 It takes place at the dr Anton Philipszaal and the Lucent Danstheater, both in The Hague. 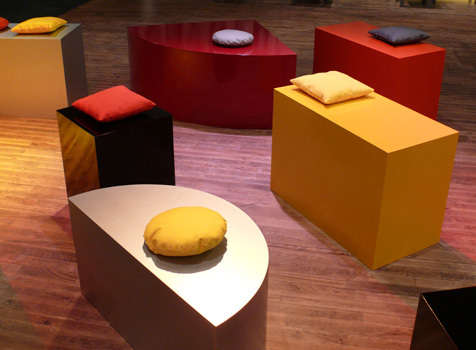 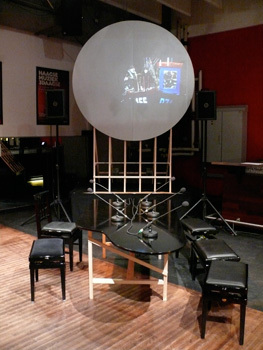 I made the furniture and interior design for the 'talkshow' area that was in use in between and after the shows. 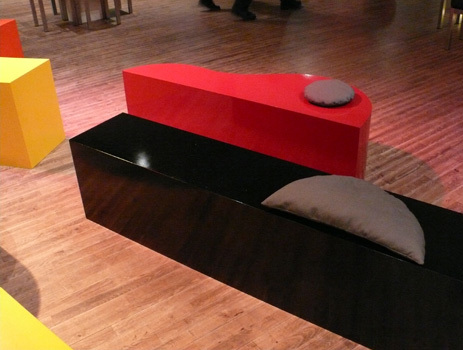 Most of the furniture are shaped after musical instruments. 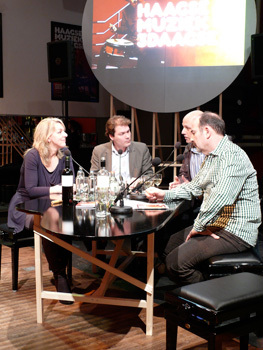 I thought it would be nice if the host could receive his guests at his piano(table).